Home / Tips and Info / Everyday Life / Eat Your Frog! “If it’s your job to eat a frog, it’s best to do it first thing in the morning. This little stone frog lives on my windowsill above the kitchen sink. He lives there because that sink tends to be the first place I go in the morning to fill my tea kettle. He is not adorable. He is not even cute. But he does have great significance to me, and I need to see his face each morning. I bought this little guy back in February, 2011 at a small “flea market” in Haiti. This was just a little over a year after the Haiti Earthquake of 2010, and the effects were everywhere we looked. My husband, adult son, and I were all there as part of team that was building a village for displaced people to live. 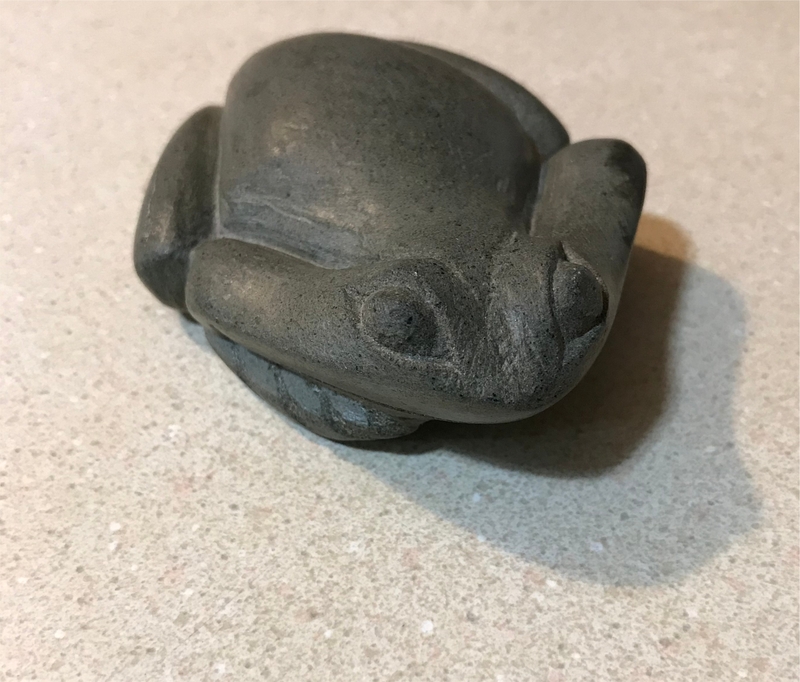 When we came across these little hand carved stone frogs, my son and I just had to bring one home as a reminder of an important principle we had learned. One morning while there, a spry awesome little spitfire 80+ year old nurse stopped at our table and asked my son and I if we had eaten our frog today. Neither of us had any idea what she meant by that, so we asked for an explanation. She proceeded to tell us that it was a saying that meant that you should look at the tasks that you have for that day, and do the one that you dread the most first thing in the morning. This not only stops procrastination (You can’t procrastinate on a dreaded task more than a day if you are doing this! ), but the rest of your day just seems so much easier after accomplishing that one thing. We had no idea that this was part of a Mark Twain quote, and it wasn’t until years later that I found that out on the internet. When I sat down to write this today, and looked up the quote, I found the second half of this quote: “And if it’s your job to eat two frogs, it’s best to eat the biggest one first.” Even better! Over the years, I have found it to be amazing how many things I put off and put off, only to find that it only takes me a few minutes to actually do it when I set my mind to it. And it is so freeing when that thing is not on my mental to do list anymore! Freedom AND productivity, all in one simple step. So… have YOU eaten YOUR frog today? Next post: Why doesn’t it FEEL like the holidays are here?